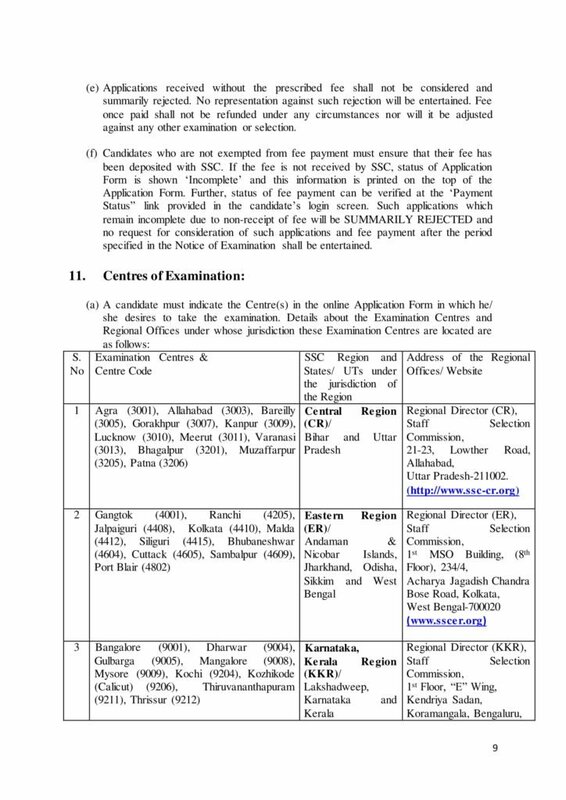 Applications are required to be submitted in online mode only at the official website of SSC Headquarters i.e. https ://ssc.nic.in. 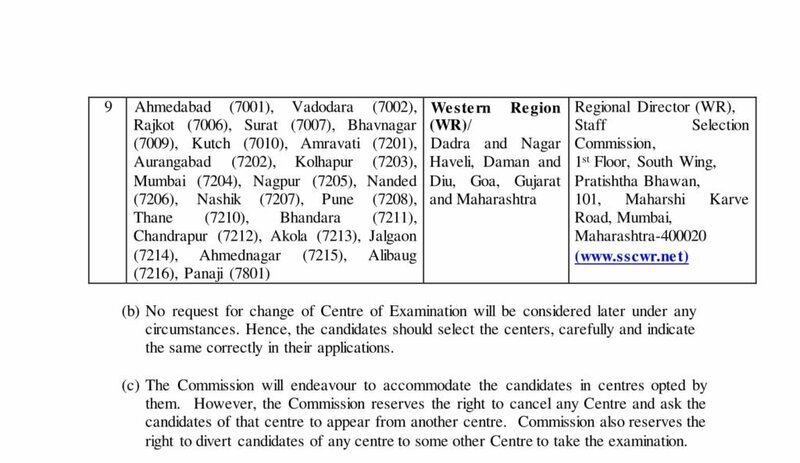 For detailed instructions, please refer to Annexure-I and Annexure-II of this Notice. Last date for submission of online applications is 21-11-2018 (5.00 PM). Fee can be paid through SBI Challan/ SBI Net Banking or by using Visa, Mastercard, Maestro, RuPay Credit or Debit card. Online fee can be paid by the candidates up to 21-11-2018 (5.00 PM). However, candidates who wish to make the payment through challan of SBI, may make the payment at designated branches of SBI within the working hours of bank up to 26-11-2018 provided the challan has been generated by them before 21-11-2018 (5.00 PM).